UPDATE: Riptide's Opening Date has been Announced! 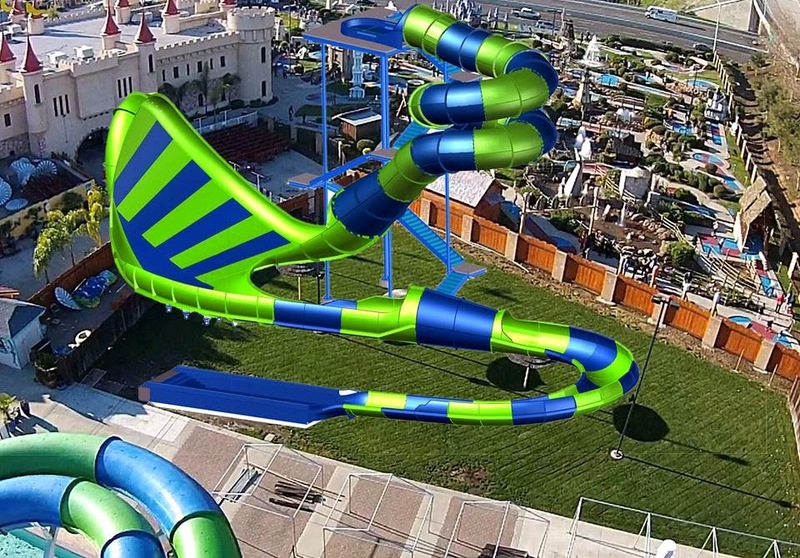 Golfland SunSplash in Roseville, CA has announced the New "Riptide" Water Slide, opening Summer 2015! Riders will start 6 1/2 stories above the ground before catapulting through sharp turns inside the enclosed tunnel. Rafts will then drop straight down, picking up speed before traveling up and back down the slide's signature "Half Pipe" element. After one more twist, the riders will be slowed to a brisk stop. This will continue the park's string of purchases from manufacturer ProSlide, as their latest slide Double Dare from 2012 was purchased from the same company. Fans of the park were able to name the new ride by voting on a Survey run through the company's Facebook Page. The slide will welcome its first riders Summer 2015. That's all for now from Theme Park Overload. "LIKE" our Facebook Page to stay connected with us directly from your newsfeed (And Receive Future Updates on Ripride's Opening Date)! www.Facebook.com/ThemeParkOverload My name's Nicholous, and Thanks for Reading!